A good way to become more familiar with the various chord shapes is by playing chord progressions by position all over the fretboard. What I mean by this is pick a position on the neck and play all of the chords of the progression in that single position rather than moving to familiar chord shapes we already know. 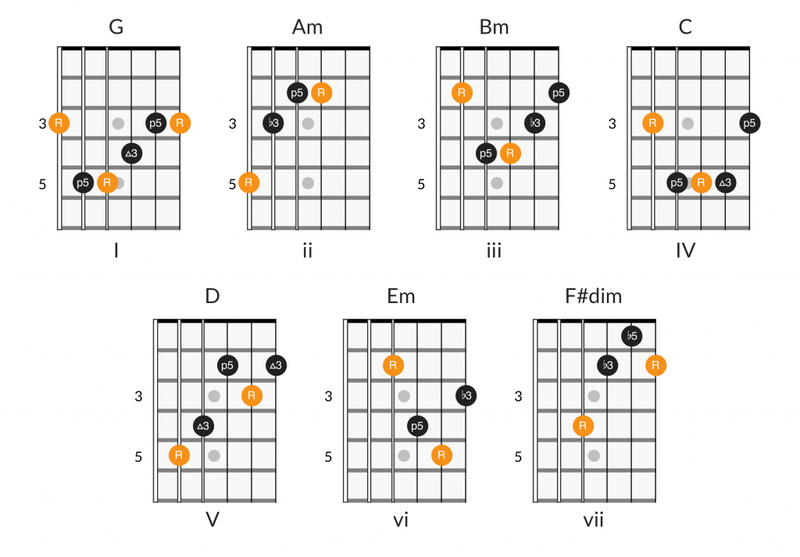 Let’s take a look at a common chord progression to see how this works. In this example, we’re going to use a I-IV-V chord progression in the key of G. If you’re not familiar with using Roman numerals to describe chord progressions, here’s a quick review. The table below outlines the key of G. The Roman numerals indicate two things. First, it tells the position of the note in the scale. G is the first note, A is the second note, and so on. Second, it gives the quality of the chord created from that note. 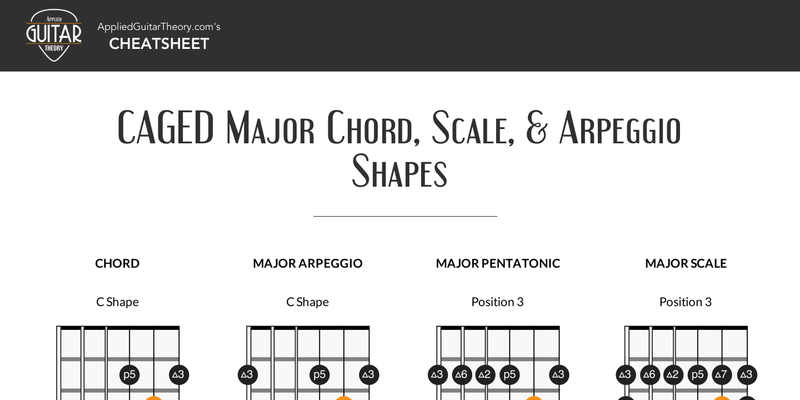 For more in-depth information on chords of a key, check out Building Chords from the Major Scale. From this table you can see that a I-IV-V chord progression in the key of G consists of the chords G major, C major, and D major. 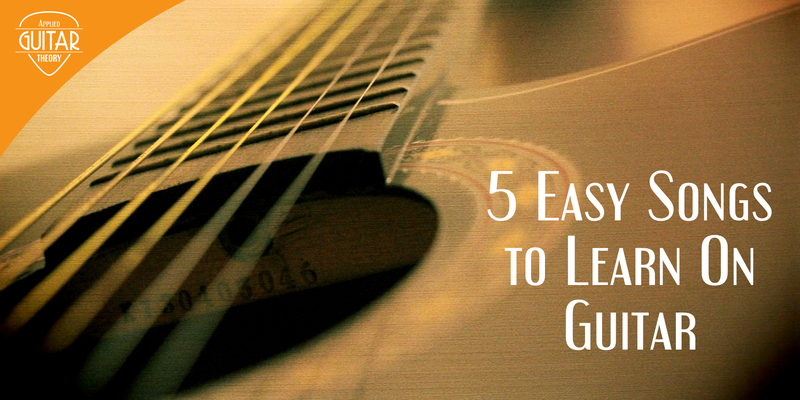 When first learning guitar we typically start with learning open chords. Open chords are easy to play. From there we progress to the basic barre chord with the index finger barring across 5-6 strings. 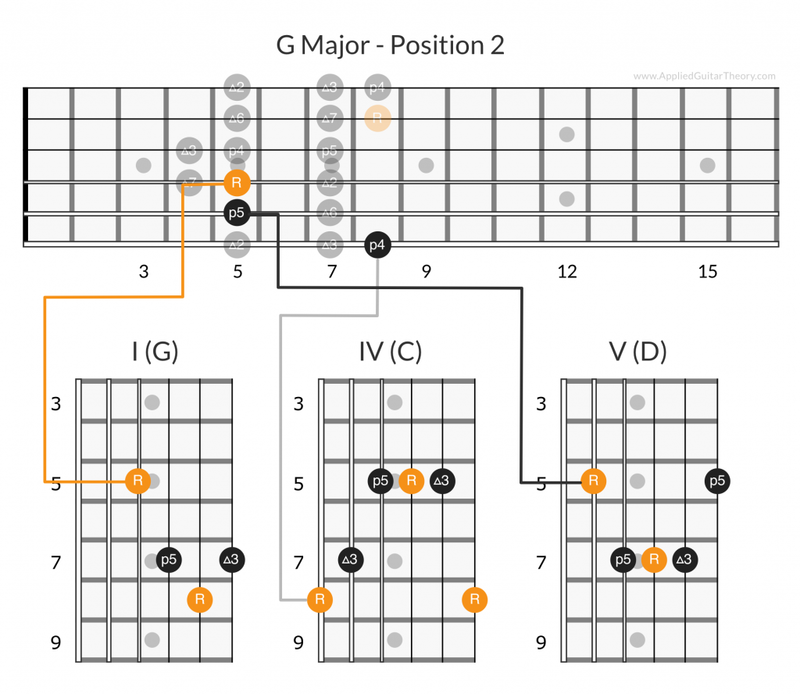 However, there comes a point where we need to expand our chord vocabulary, and this can be accomplished through playing chords in different positions on the fretboard. Any chord progression can be played in any position on the neck. 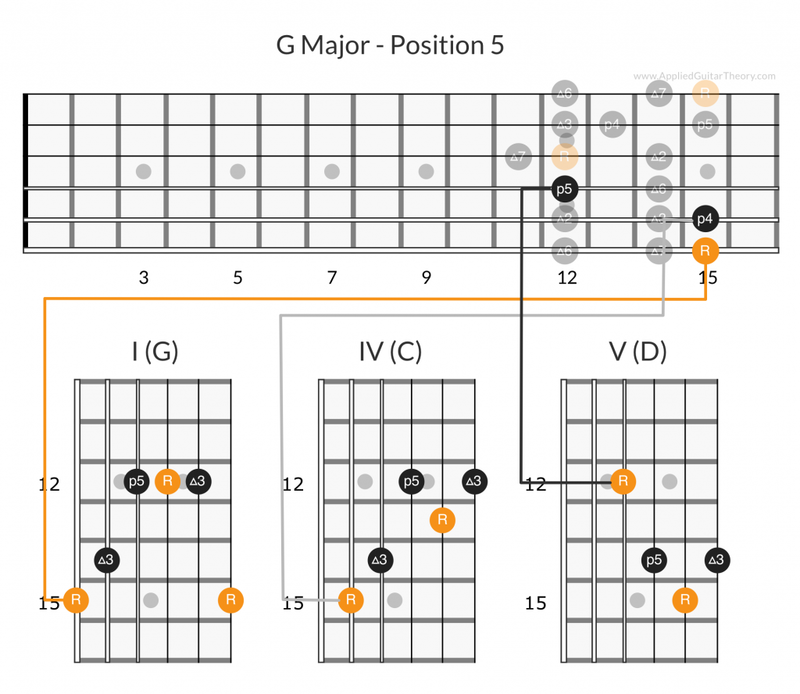 The diagram below shows the root positions of the I – IV – V chord progression in the key of G in all 5 positions of the G major scale. Let’s break this progression down position by position. If you’re not familiar with the term CAGED, you may want to read the CAGED system lesson before continuing. 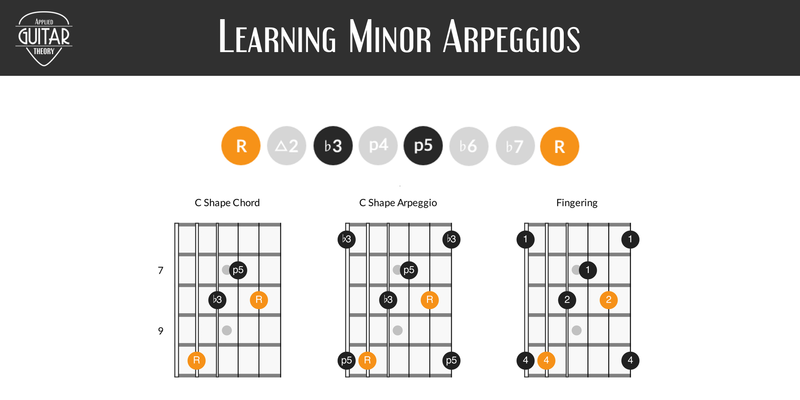 The chord shapes in the following diagrams will make much more sense if you have a basic understanding of that system. 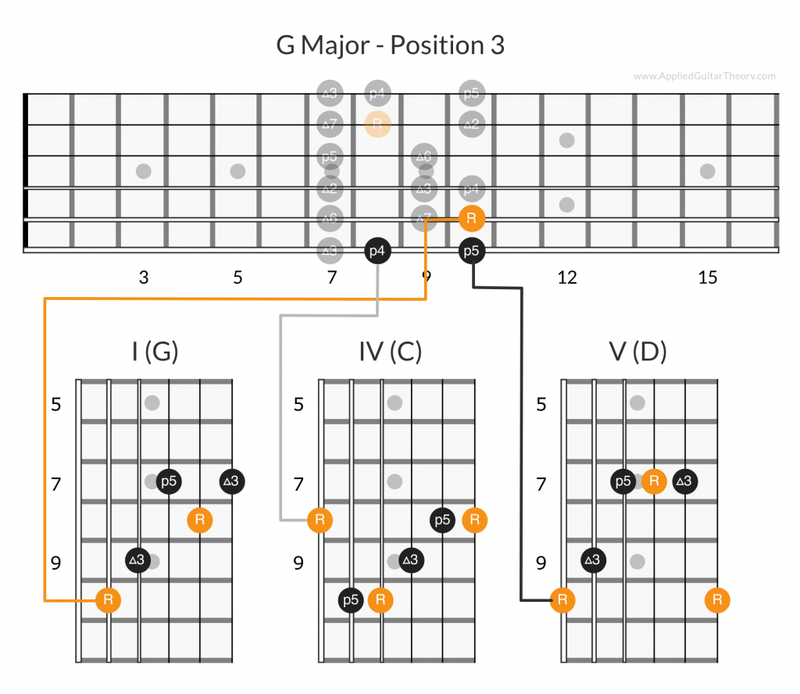 This method of playing chords by position isn’t limited to a I-IV-V progression or just major chords. 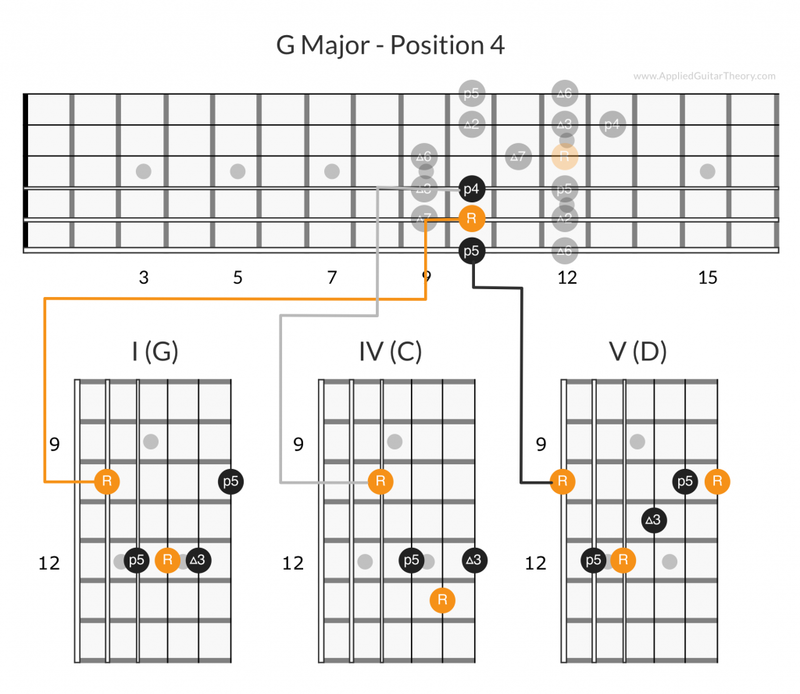 In the figure below you see all chords of the key of G in position 1. This can be applied to any position in any key. This method can be applied to any chord progression in any key. 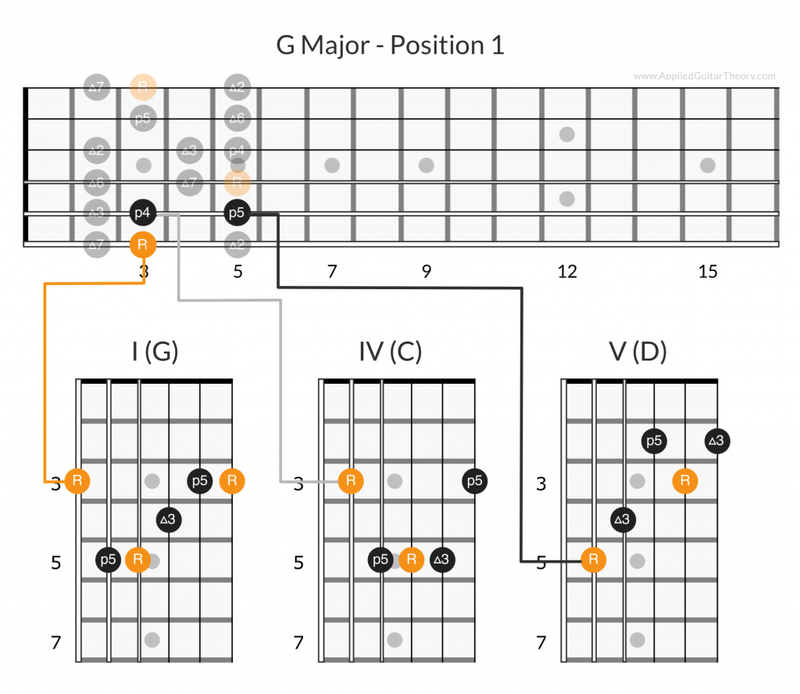 Experiment by taking songs you already know and playing those chord progressions by position.